Nothing will ruin some fun in the sun like having to exit the pool to take a dump. Climbing out. Toweling off. Finding a bathroom. Removing and replacing a wet swimsuit. And, let’s not forget about flimsy toilet paper on a wet derriere. Yuck! Who needs the hassle? 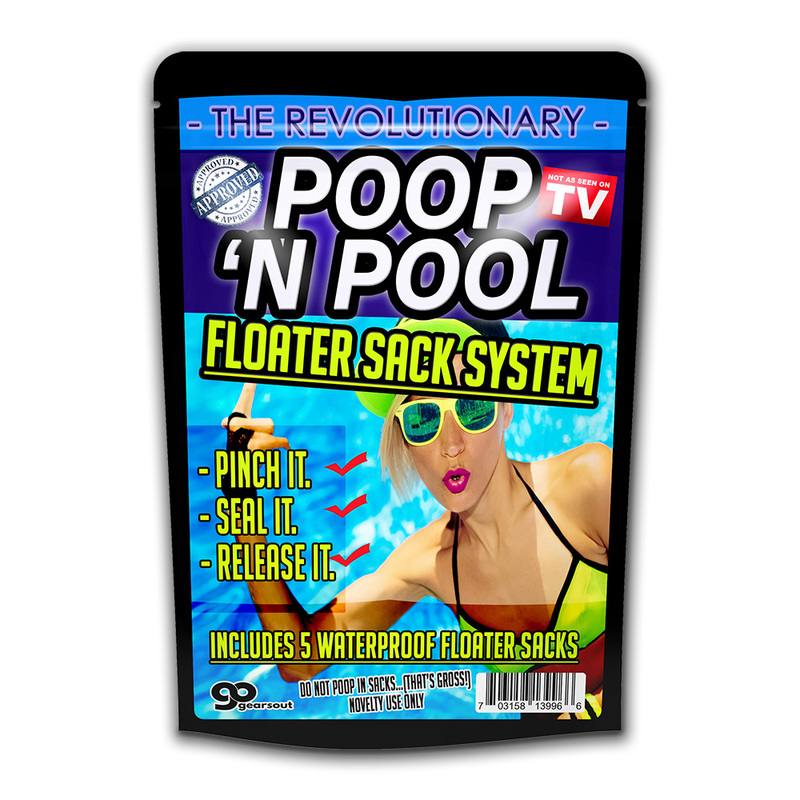 Now, you can say goodbye to all the troubles associated with crapping on land if you’re packing the Poop ‘N Pool Floater Sack System. Just pinch it, seal it, and release it, from right where you stand! 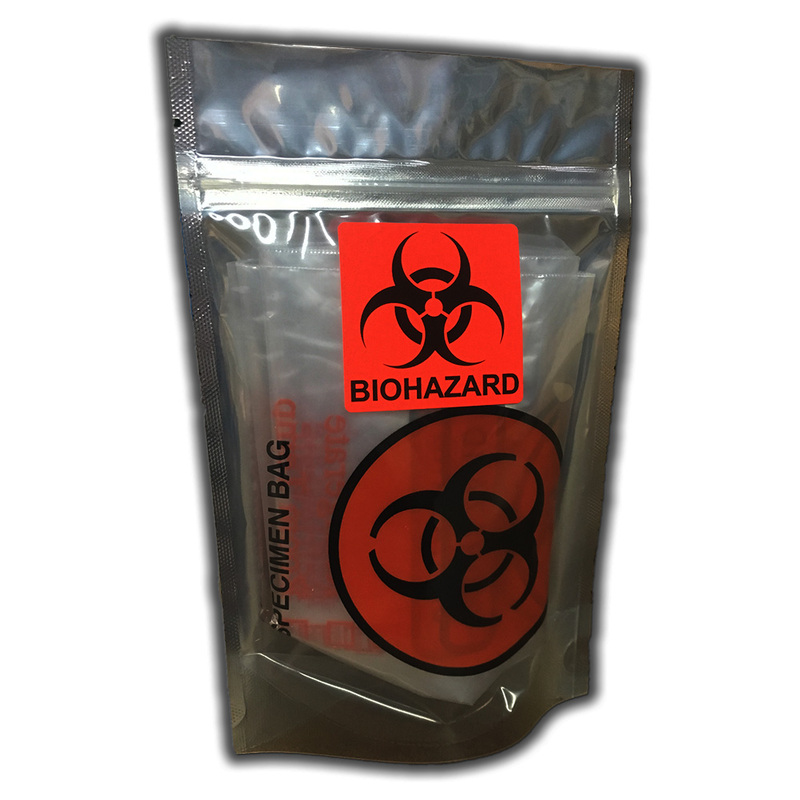 Each waterproof pack of Poop ‘N Pool Sacks contains 5 biohazard bags, so you’re totally covered at home or on vacation! 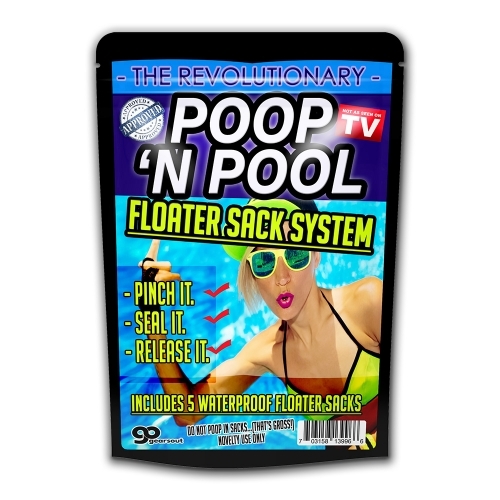 Anyone who’s had to take a break from relaxing in the water just to drop the kids off at the porcelain pool will get a great laugh from this crazy poop gift. 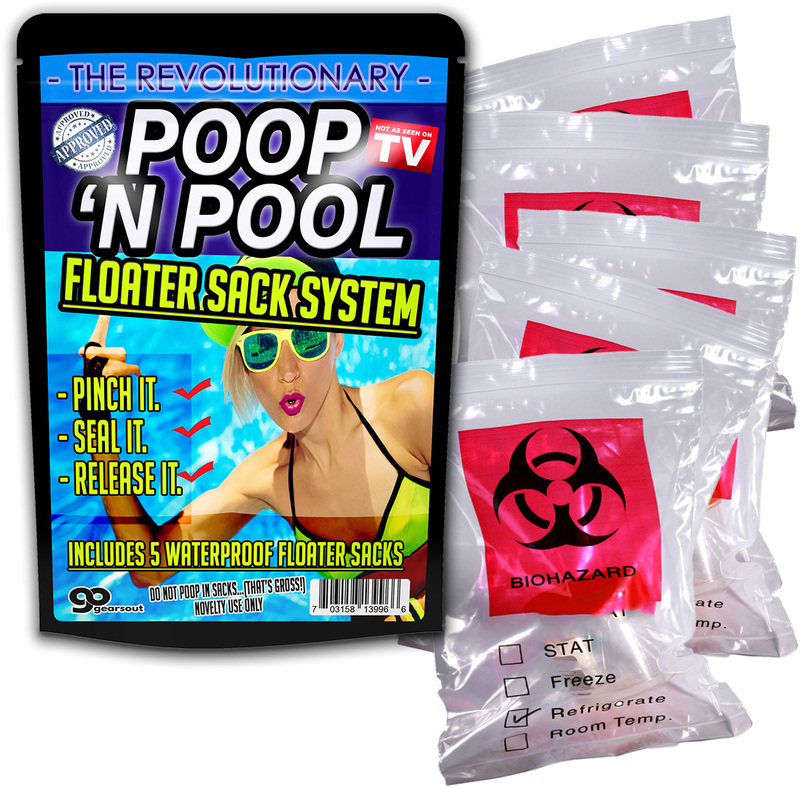 Surprise friends and family with a handy pack of Poop ‘n Pool Crap Sacks on any gift-giving occasion. These hysterical novelty bags are perfect for birthdays, holidays, or just to put a smile on someone special’s face. 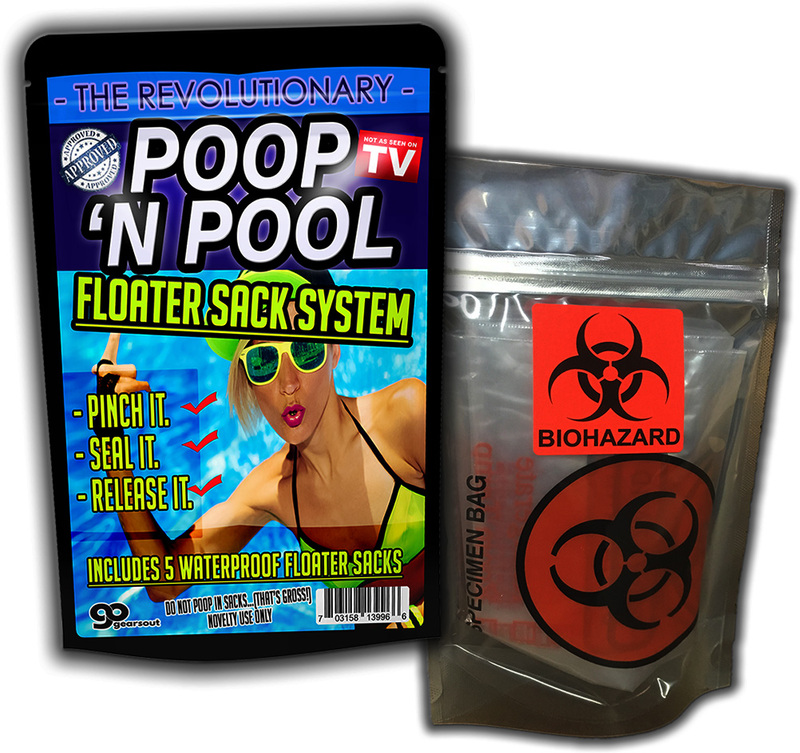 Poop sacks make excellent stocking stuffers, white elephant ideas, and Secret Santa gifts, or additions to care packages and gift baskets for teens and adults.